Come and see our dazzling handcrafted jewelry at the following craft fairs throughout Maryland and Delaware. In front of Newark Natural Foods. but we will only be there once a month. artists each week at 11am. The 8th Annual Dewey Beach Arts Festival is an outdoor juried arts and crafts show sponsored by the Dewey Business Partnership, a nonprofit 501c(6) organization dedicated to the enhancement and quality of life in Dewey Beach. the festival visit their website. Fresh seafood and other treats, live music, fun activities for the kids, and loads of artists and vendors, all in a beautiful dockside setting! Art on the Green is an annual Art & Craft Show in Historic New Castle Delaware. Started in 1970, it is the 4th Saturday in September, in Battery Park, on the scenic Delaware River. Sponsored by New Castle Hundred Lions Club. Over 200 artists & crafters, free admission, past attendance between 2,000 & 3,000. 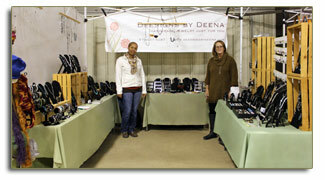 Be sure to stop by and visit our jewelry display at one of the Maryland and Delaware craftfairs. Check out the weather in our area. on the Weather Underground control button above. check out our online store for our current selection of handmade jewelry. Sterling silver and copper jewelry handcrafted with the finest gemstones and crystals!